Home > Blog > The Birmingham Airport Yearbook. Birmingham had booming business with all the record breaking months of seasonal traveling and vacations throughout the year. There were rerecord breaking numbers of travelers in the months of April, May, June, July and August. Yet November took the lead with highest increase in passenger rate. There were 650,000 through the terminal in this month marking the increment of 10% than the same month last year. Then there was the Christmas Getaway. The passenger rate was also quite high during December. 340,000 travelers were expected to pass through its terminal along with the 7.4% increase in traveler’s rate as compare to the last year. According to The CEO, Paul Kehoe, “The busiest days over the festive period are likely to be the 21st, 22nd and 23rd December as people jet off in time for Christmas day, to visit friends and relatives, catch some winter sun or hit the ski slopes. The Turkish Airlines is expanding the magnitude of their operations at Birmingham next year. Emirates launched its third daily service of a direct first class flight from Dubai. Air India is initiating daily flights from Birmingham to Delhi and Amritsar. Norwegian is Europe’s 3rd largest low-fare airline, now bringing the commencement of three Spanish routes including Barcelona, Madrid and Malaga. Birmingham Airport is at the verge of brand new traveling era, along with the much higher level of comfortable and convenient traveling to all the new destinations. So, be the first to avail all that it has to offer including the secure car parking amenities of Birmingham airport. Happy New Year!!! 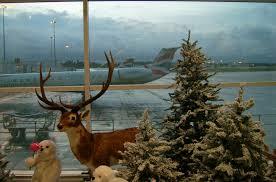 Previous PostAn Account of Heathrow Airport.Next PostSavvy Traveling Calls for Well Prepared & Keen Maneuvers. This blog post was very helpful to me. I'm sure others may find it useful as well. Many thanks for sharing this information so freely. You need to think about writing a book.